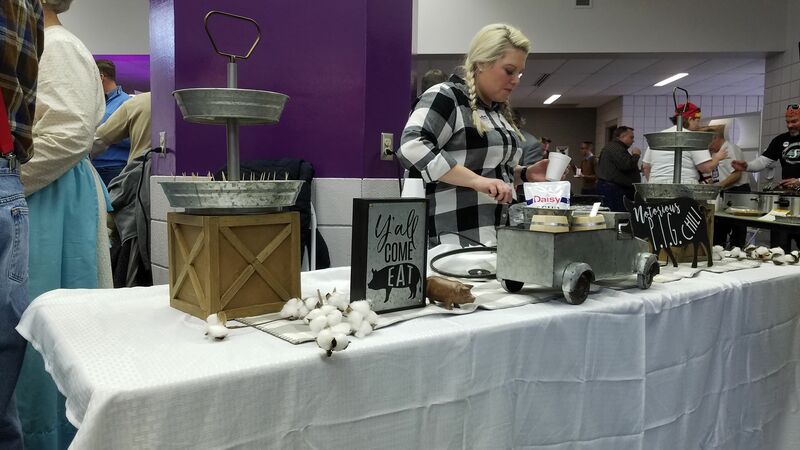 It was a “chili” day on the Kansas State University Polytechnic campus in Salina on Friday. 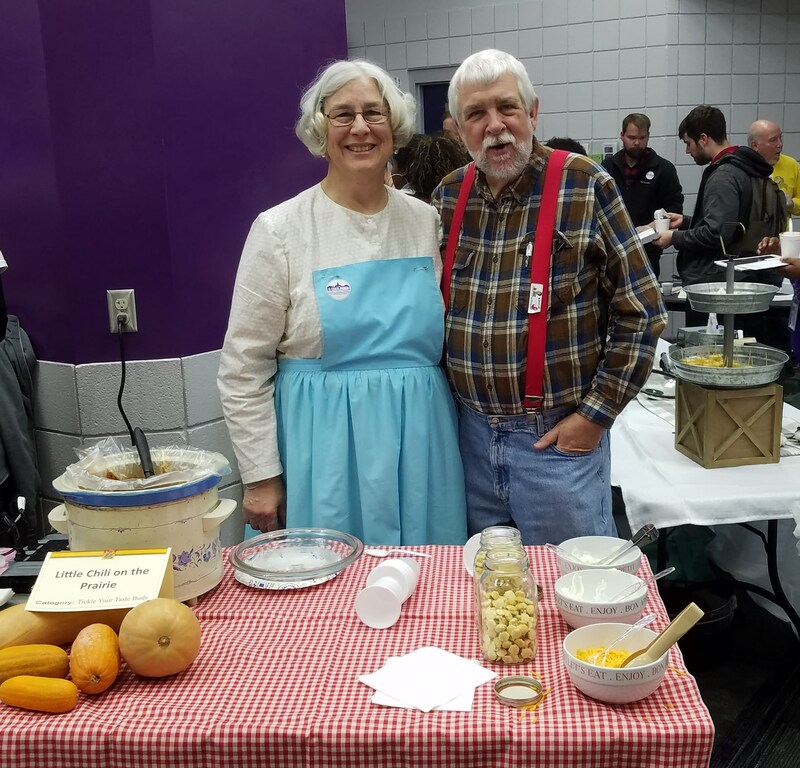 A large portion of the campus community participated in an event that dates back to the days when the school was then known as Kansas Technical Institute, or KTI. 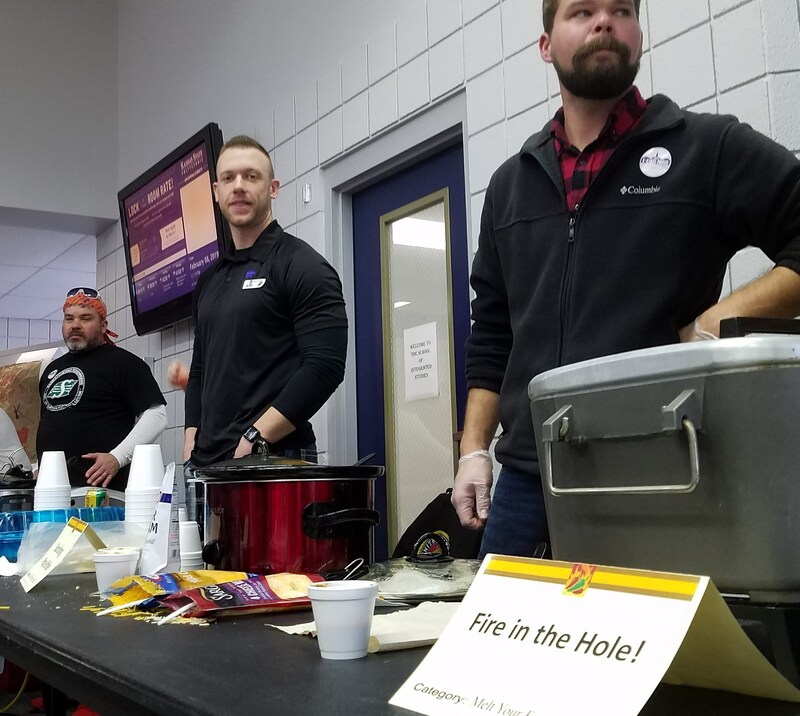 Anyone on campus was able to follow their nose to the Technology Center lobby, where the annual Chili Cookoff was going on. Students, faculty, and staff present and past were a part of the event. 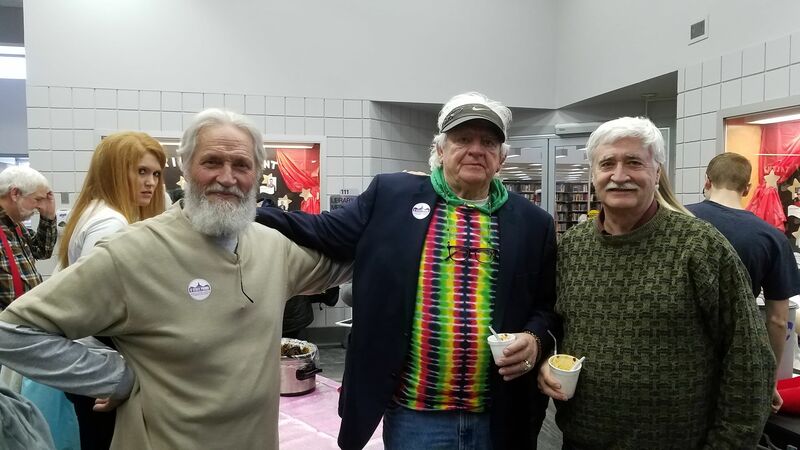 Among those entering was retired KSU Professor Robert Homolka, who traveled from the Kansas City to be a part of the event. The concept is very simple. Those who enter the Chili Cookoff prepare a pot of chili that is either “Tickle Your Taste Buds” mild, “Warm N’ Fuzzy” medium, or “Melt Your Face Off” hot. 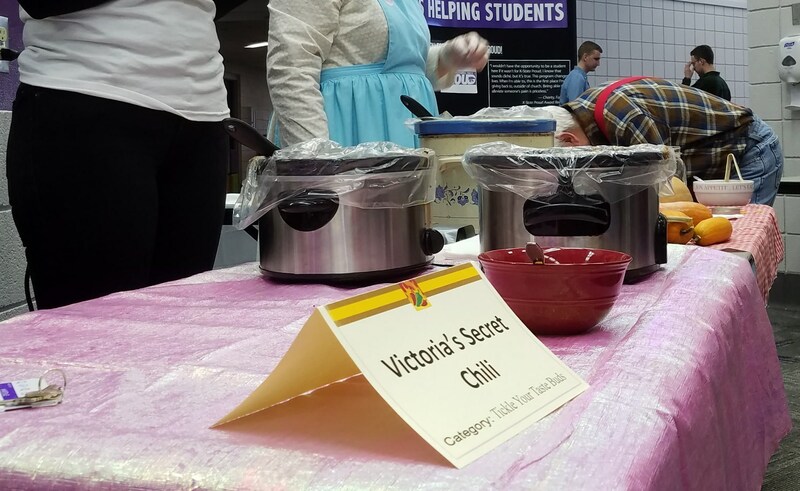 Everyone on campus is then invited to sample the chili, and vote for their favorite. 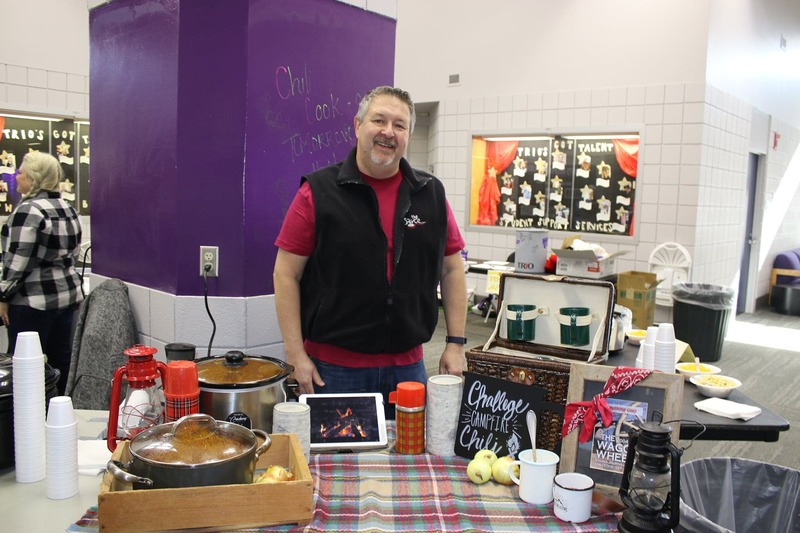 It was a fun, festival-type atmosphere in the chili sampling area with music accompanying laughter and smiles. After the votes were tabulated, winners were crowned in several categories, along with an overall winner. The overall winner receives a large traveling trophy / chili pot. They get to autograph it and keep it for a year. Jess Simpson from the university told KSAL News there were 17 chili entries this year. 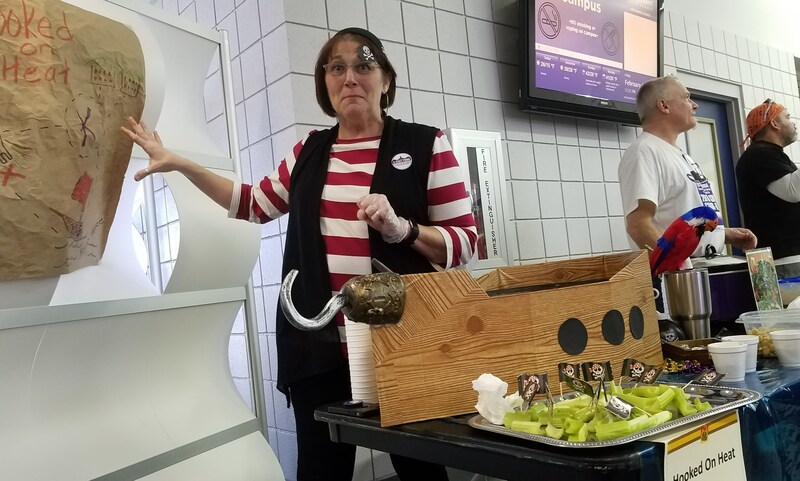 Each batch of chili had a creative name, and many of the chili cooks dressed in fun costumes. Kansas State Polytechnic has been hosting the event for the past decade. 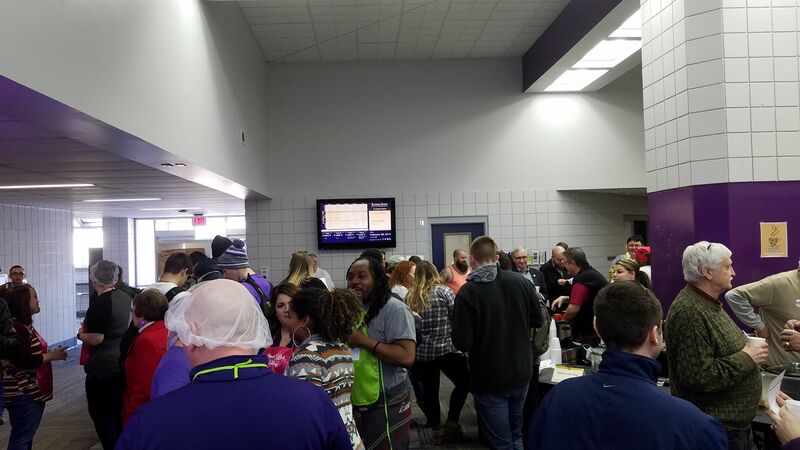 The cookoff though, dates back to 1986 when it was held at KTI. 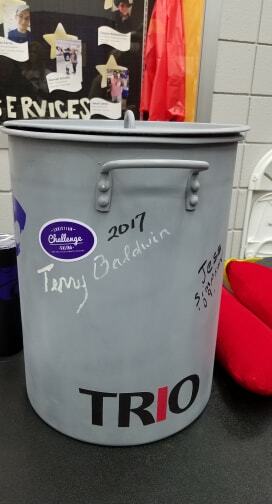 Terry Baldwin and his “Challenge Chili” was the overall champion.